It has been a very long time since I was on here! I hope everyone is doing well! I recently finished my schooling for web design. As a result I created a new website called The Fairy Gathering. 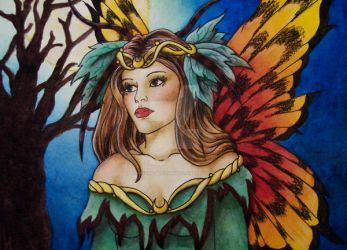 This is a place for fairy artists to have a gallery to help promote their work. I know how hard it is to get recognition and just to get out there. Take a look and let me know what you think! If you are interested in having a gallery take a look at the guidelines page. HALLO AGAIN DEAR HOLLY.I SENT YOU MY MESSAGE ALREADY JUST AT YOUR SITE.GAELIC-FAIRY BLESSING TO YOU.